On The Clock 4 Of A Kind Bonus has been running 24 hours a day throughout the weekend. Don't miss your last chance to participate Monday And Tuesday with extended bonus times! On The Clock 4 of a kind Bonus will be offered 24 hours a day throughout the weekend, until Tuesday night at 11:59pm. On Monday and Tuesday all bonus times are doubled!!! 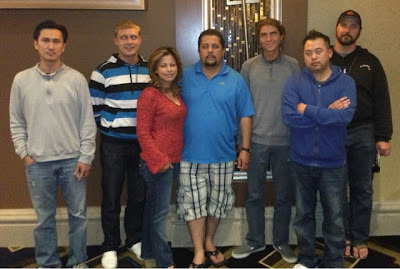 Heartland Poker Tour Expands to West Coast! Lincoln, CA – April 23, 2013 – Heartland Poker Tour (HPT) announced a West Coast expansion of their popular tour with a nationally-televised event at Thunder Valley Casino Resort near Sacramento, California. The series, September 20th-29th, will include a deepstack event, nationally-televised Main Event with three starting flights, and a full schedule of cash tournaments and qualifying events. Registration is open!! 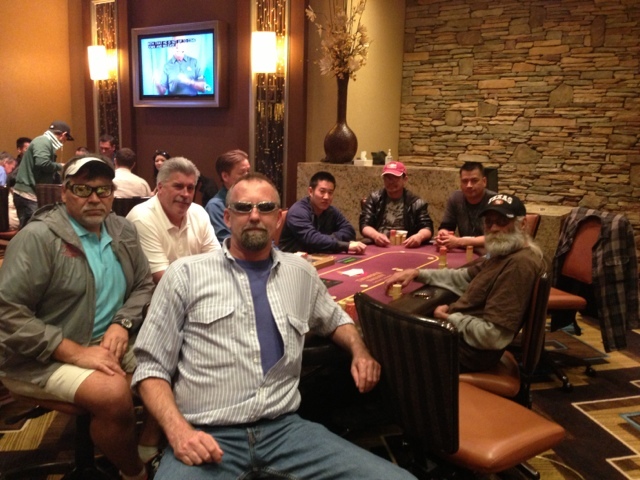 The Friday Night Deepstack is back after finishing up the Sweet 16 Tournament Series earlier this week. 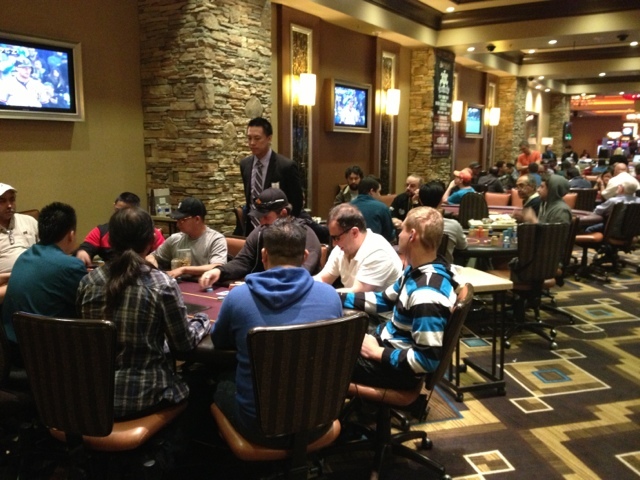 The buy-in tonight is $125 with $10,000 in starting chips. 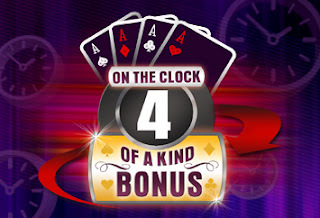 Join us from Friday April 26-Tuesday April 30 where the On the Clock 4 of a Kind Bonus promotion will be offered 24 hours a day. Plus on Monday and Tuesday all Bonus Times will be doubled. 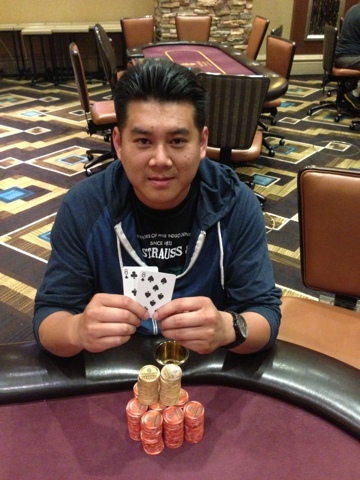 Congratulations to William Chao from San Pablo, CA. 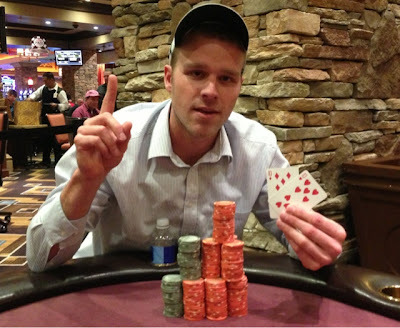 He is the 2013 Sweet 16 Tournament Champion. 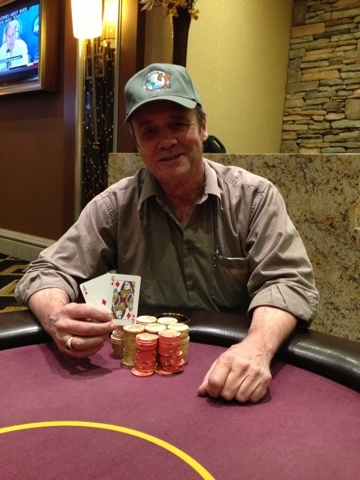 He's taking home $71,550! Lucky him! 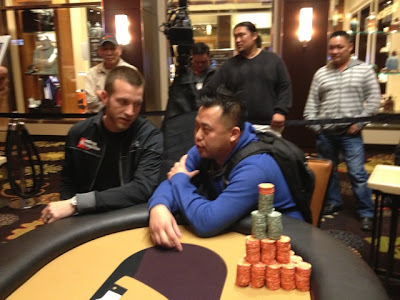 We're down to two players in the Final Table at the Sweet 16 Tournament Series. 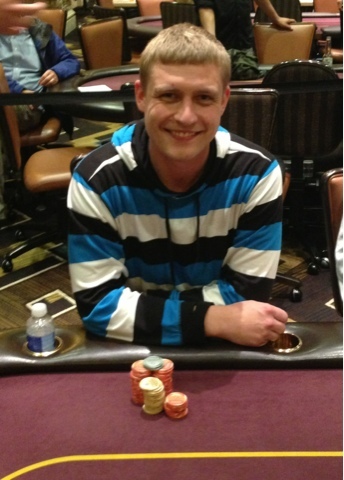 We had a chance to talk to one of the players, Sam Rotar from Australia. He tells us how he made it to the final table. 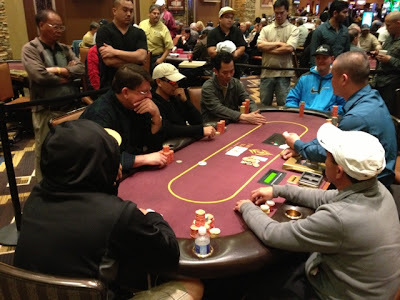 Day 2 of the Sweet 16 Main Event is upon us. A total of 50 players made it through Day 1A and Day 1B to come back and restart their quest for the $71,550 first place prize. The first four levels of the day were action packed as more than half the field was cut leaving just 23 contenders to vie for the title. 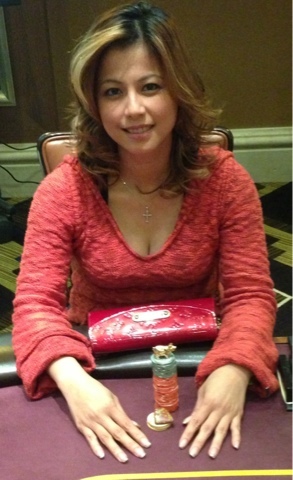 I caught up with tournament pro Mimi Luu (San Bruno, CA) on the second break to find out a little more about her. 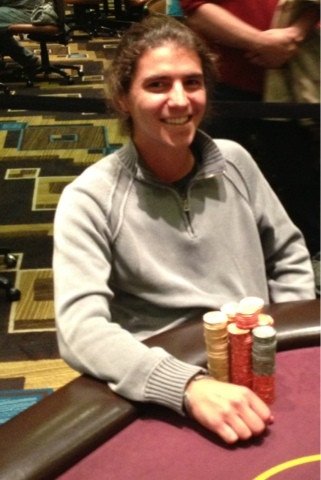 She has built her stack up today from $54K to almost $150K. 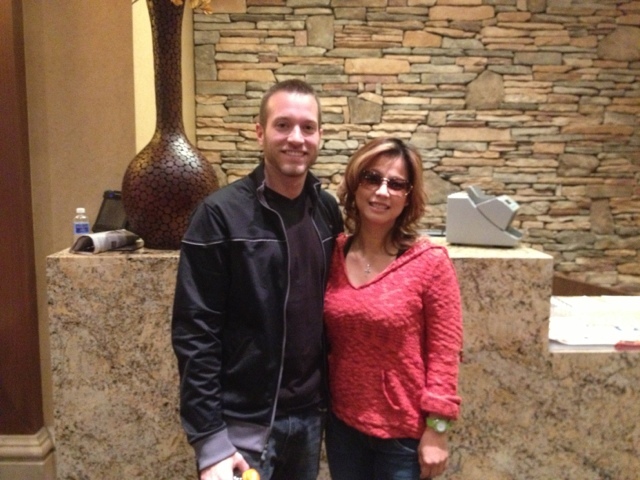 She told me about a big hand that doubled her up. 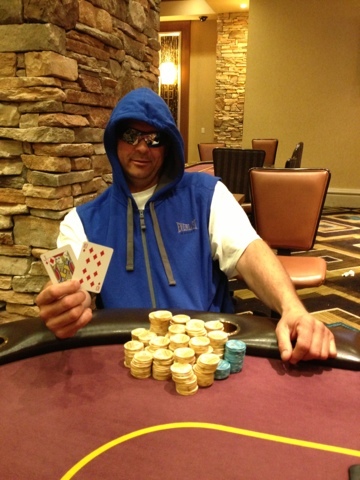 "I had AK suited, open raised and the button shoved all-in. I called and ended up hitting the nut flush to double up," Mimi said. 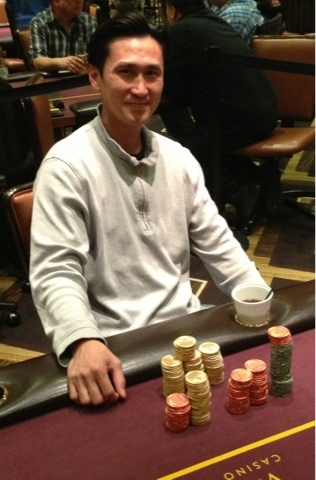 Mimi has won a California State Poker Championship event ($14K) and the $2K buy-in Bay 101 Shooting Star Classic ($105K). She has over $250K in tournament earnings and will add to that total today. 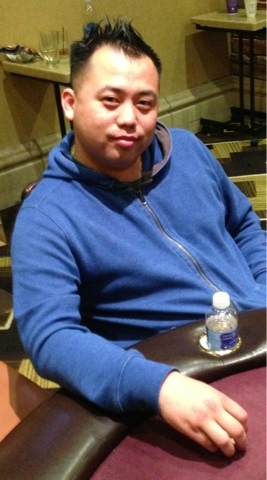 Mimi Luu and the rest of the players are all in the money with the top 30 spots paying out at least double their buy-in. 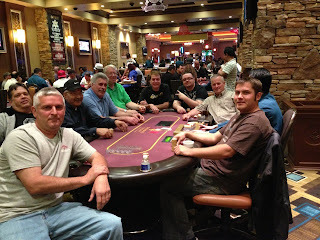 11th-20th place will receive $2,700 while 21st-30th take home $2,025. 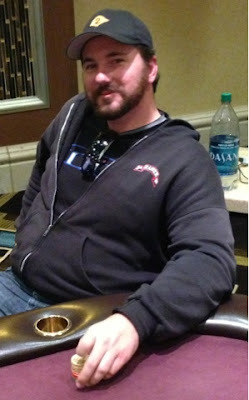 Check the earlier blog post to see the full payout structure. The tournament will be played down to the seven handed final table which will stream live tomorrow starting at 4:00PM right here on the Thunder Valley Poker Blog. We are in the money. 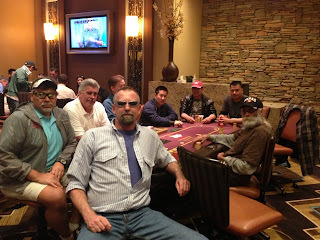 Currently we have 28 players remaining. 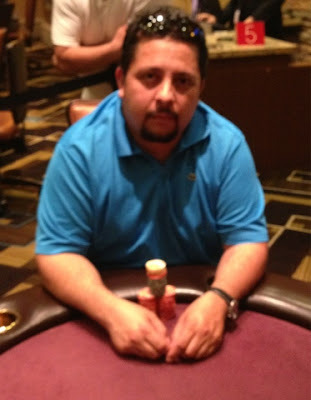 Picture above is Tournament Director, Wil Hernandez overseeing the action. 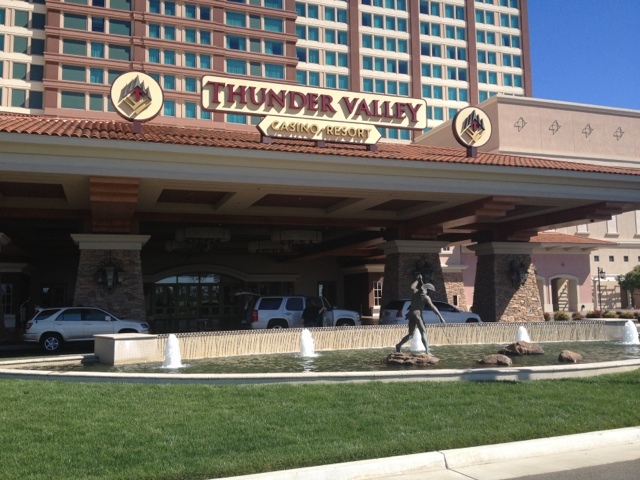 It's a beautiful day at Thunder Valley Casino Resort as we prepare to get the cards in the air to start day 2. We will play until we get down to the 7. The field is set for the Sweet 16 Main Event. The Main Event drew 270 entrants with a prize pool of $270,000! The Main Event begins tomorrow morning at 11:00am. If are still looking to satellite your way in we will be offering one table satellites until the start of day 1B Saturday morning. 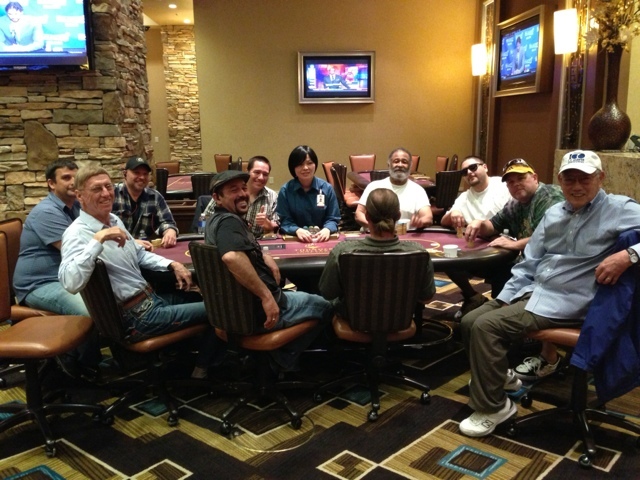 7:00pm Event #15 $10,000 Guaranteed NLH Deep Stack 3X Bounty. Buy-in $200 with $75 bounties. One table satellites will be offered throughout the day. Buy-in $50 with 1st and 2nd winning the $200 entry into event #15. 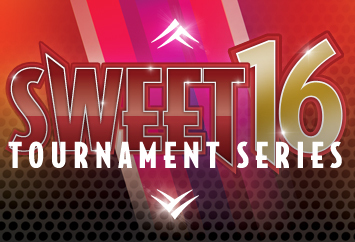 SWEET 16 SERIES IS NOT OVER YET !! We are down to the final 7. Currently we are at level 21. 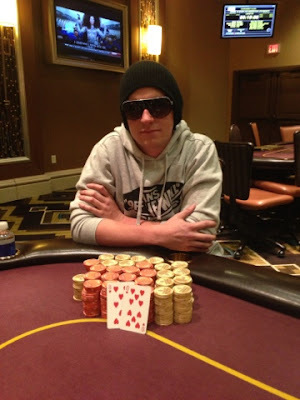 Ante $4,000, blinds are $12,000-$24,000. Results to follow.